Our LCM album of the month 'Shakespeare Songs' by the new young UK folk supergroup The Company Of Players is a remarkable achievement. Inspired by folk projects such as 'The Full English', 'The Elizabethan Sessions' and 'Songs For The Voiceless' founder and creator Jess Distill set out to create a new collaborative collection of music with some very talented friends to commemorate the 400th anniversary of the death of William Shakespeare. Most the folk projects of this type are usually commission and funded by EFDSS or the Arts Council, but the COP project was crowdfunded through Pledge Music and supported by a few generous patrons including being sponsored by Looe Music Festival. It was originally conceived as a performance project. 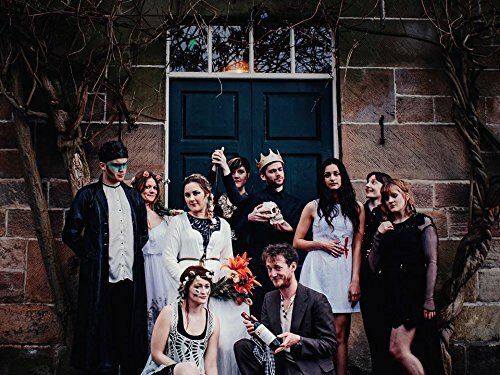 The idea was to write a collection of original songs inspired by different Shakespeare plays. At the end of an intense week-long collective writing session in Derbyshire, the new group emerged with 14 songs, 10 of which (11 if you have the limited edition featuring a hidden instrumental) now form this excellent debut album. The project first released a limited download EP for their pledgers, which gave a great flavour of the music to come. The album produced by the multi talented Sam Kelly explores the universal themes of gender roles, love, murder, mental illness, exile and refugees. The album was recorded, mixed and mastered at Cube recording studios by Sam Kelly & Ross Rothero-Bourge. The Company of players are Minnie Birch, Chris Cleverley, Jess Distill (Said The Maiden), Lukas Drinkwater (Jacob & Drinkwater, Emily Barker) Hannah Elizabeth (Said The Maiden, Elizabeth & Jameson), Sam Kelly (Sam Kelly & The Lost Boys, The Changing Room), Daria Kulesh, Kim Lowings (Kim Lowings & The Greenwood), Kelly Oliver and Kathy Pilkinton (Said The Maiden). The album begins with the dark and atmospheric 'Black Spirits' written by Kathy Pilkinton. Kathy's arranges the famous opening lines from the classic play Macbeth, spoken by the witches as well as their speech at the start of Act IV. The track has some great harmonies by Jess, Kathy, Chris, Kelly and Minnie added to percussion and backing vocals from Sam Kelly. The tender 'Up and Down' is written by Minnie. Birch A song of love, weddings and forests picturing the flight of the star-crossed lovers in A Midsummer Night’s Dream. Minnie plays acoustic guitar and sings lead vocals, accompanied by Kelly Oliver and Chris Cleverly on acoustic guitar and Lukas Drinkwater on electric guitars, Sam Kelly on mandolin and Kathy Pilkinton on clarinet. Always a very high quality singer-songwriter Kim Lowings' song the beautiful 'Gathering Round', is one of my favourites on the album. It draws on Prospero’s words of reassurance to his daughter Miranda in 'The Tempest'. A a song about the mysteries of the world and continuing search for identity. It has Kim Lowing's taking lead vocals and dulcimer, with Lukas Drinkwater on electric guitar, Chris Cleverley on acoustic guitar, Sam Kelly on mandolin and the company on backing vocals. Another one of my firm favourites is the wonderful 'But Thinking Makes It So' written by Chris Cleverley. A dreamlike melodic meditation on the human condition and mental illness in advancing years. It is 'Hamlet' and features Kim Lowings on piano, Lukas Drinkwater on double bass and Hannah Elizabeth on fiddle, with backing vocals once again from the whole company. It reminds me a little of Jim Moray. I love the harmony backing of the choir. 'Method In The Madness' is written by Jess Distill and Kim Lowings. Once again using 'Hamlet' it draws on his exile and plans of revenge. This is a lively uptempo toe-tapping bluegrass-infused hoedown driven by Chris' banjo added to mandolin, fiddle, harmonica and spoons. Another beautiful song is a piano waltz written by Kim Lowings 'The Song of Philomel'. It’ is a return to the classic 'A Midsummer Night’s Dream'. Fiddle, flute and clarinet adding a lovely compliment to words inspired by Titania’s lullaby, 'Philomel' is the old name for the nightingale. At this point the limited edition has the brief instrumental 'Interval', providing a suitable introduction to Daria Kulesh's operatic-like contribution, the dark and mysterious 'Lady Macbeth of Mtsensk'. It conveys deep foreboding with its haunting double bass lines from Lukas Drinkwater. This is Shakespeare with a Russian twist. Daria tells a murderous tale based on Nikolai Leskov’s Macbeth-inspired Russian novel 'Lady Macbeth Of The Mtsensk District' recently adapted as a chilling feature film. 'You Must Needs Be Strangers' written by Kelly Oliver is another lovely song with a circling guitar melody. It takes its inspiration from Sir Thomas More, a play generally agreed to include over a hundred lines by Shakespeare. Kelly adapts verses from the play themed around the subject exile and refugees, which is as relevant today as it was back then. Kelly Oliver and Sam Kelly share some wonderful lead vocals with added banjo, fiddle, piano and double bass accompaniment. Hannah Elizabeth contributes the penultimate track. 'It Was A Lover and His Lass' taken from 'As You Like It' . With it's choppy and sharp mandolin and violin baseline, it has a real Seth Lakeman feel about it, with added banjo and dulcimer underpinning the melody. The album concludes with 'Jessica’s Sonnet', penned by Kim Lowings, Sam Kelly and Kelly Davis, an actress with Workington’s Theatre Royal Shakespeare Players and the mother of Sam Kelly's duo partner Jamie Francis. Arranged for acoustic guitars and harmonica with the whole company on vocals, the song is based around Jessica’s flight from her father Shylock. Risking all for love and a new life to elope with Lorenzo in 'The Merchant of Venice'. This excellent collaborative debut album features some of the brightest young folk musicians in the UK. With it's superb musicianship, arrangements and songwriting I very much hope that the new album receives the recognition that it truly deserves and this is not the last music produced by the 'Company Of Players' project. This album is a very fitting part of Shakespeare's continuing legacy, relevance and durability. This project also won our LCM 'Innovation' award for 2017.